I took many photos on my last street session. As you can see, this is number six. Here are a few more I think you might like. I found that there is a lot of photo opportunities in Winter Park, Florida. 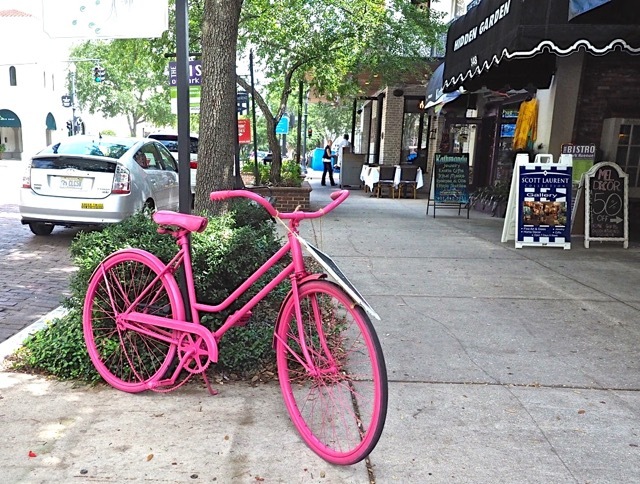 This shocking pink bike is being used to hold an advertising sign. 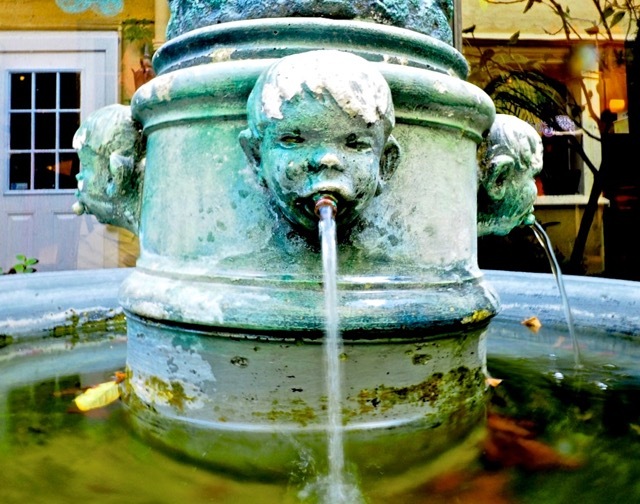 I liked this little fountain boy. One of his buddies isn’t working. The owner of the place came out while I was shooting this. I thought he would yell at me, but he didn’t. 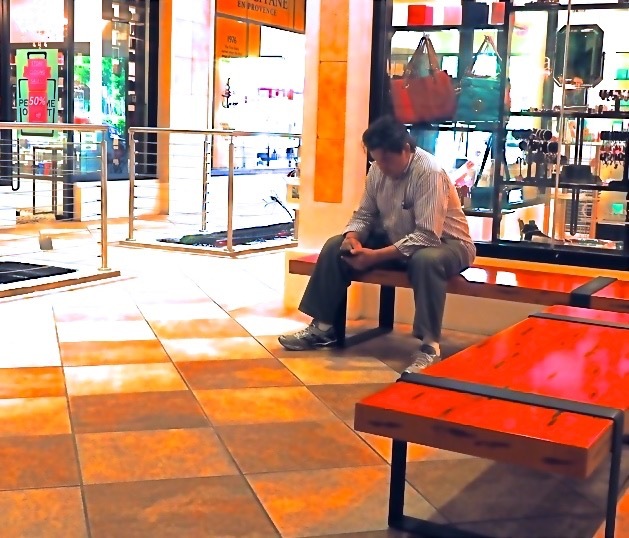 I thought the red bench, which leads the eye toward the guy on the phone was inviting and worth shooting. 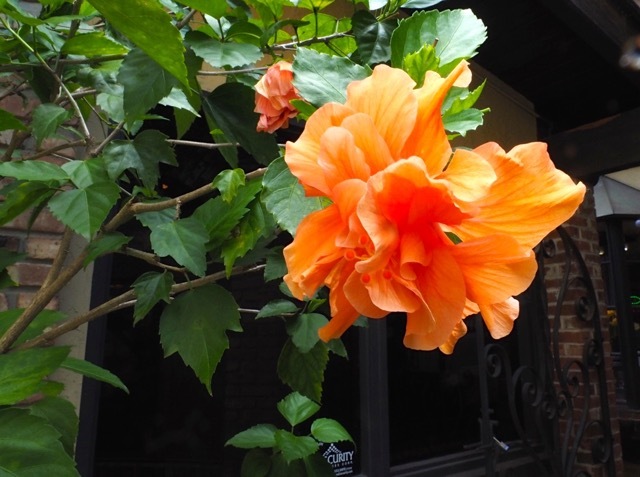 This colorful hibiscus stood out well. It was waiting to be photographed. That’s one of the nice things about Winter Park. You can breathe free there. 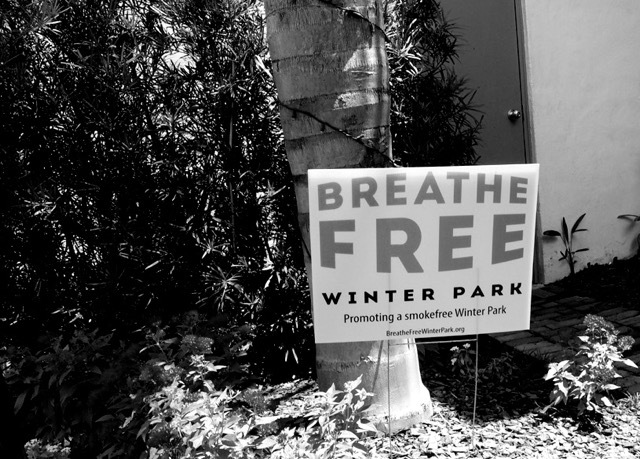 After all, who wants to pay to breathe? 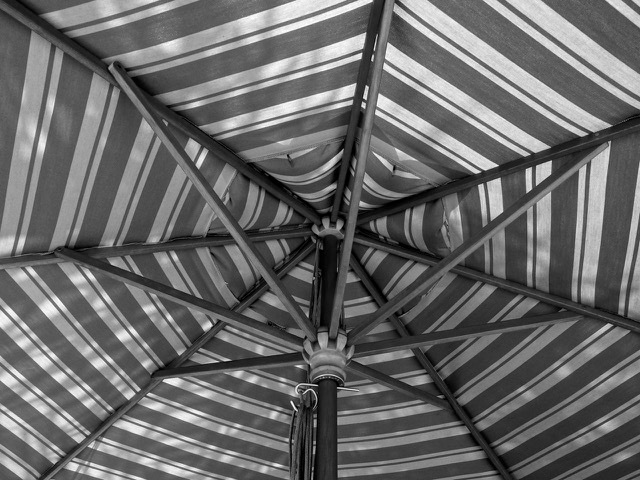 I liked the lines and angles this shot provided. 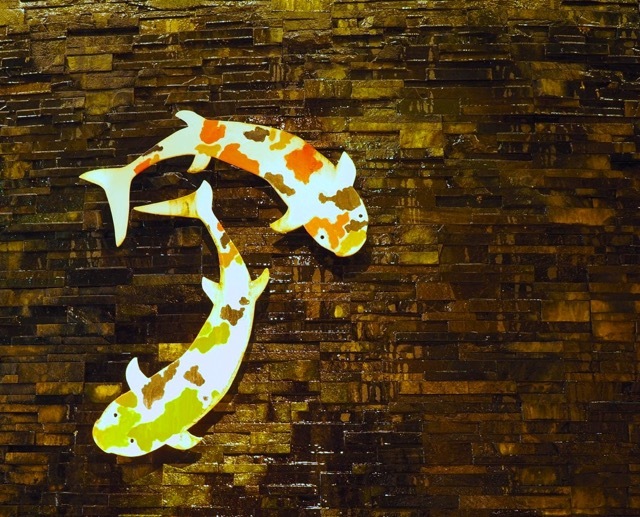 Artsy, koi fish adorn this wall of flowing water.